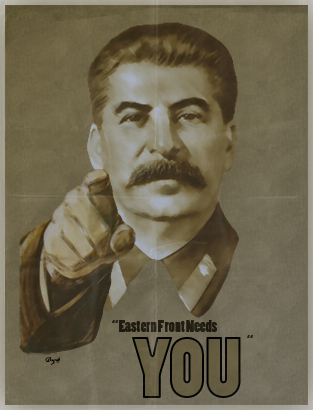 We are looking for balancing players to help strength the Steam launch of EF. The amount of content we have coming is huge, and will most likely rival the amount of content seen in Opposing Fronts and Tales of Valor combined. Steam Keys are limited so, so if you would like to join us, you will have to go through an audition process. The audition process will be both a practical demonstration of your skills, and an interview with the members of the development team, you may also be subject to a small background check. After passing the audition process, you will also be asked to sign an NDA. The NDA will be strictly be enforced, no exceptions. We have a positive working relationship with Relic, as well as an internal testing SVN, and we will not put these in jeopardy. So, if you think you can help us out, and have the skill and time to do so. Post your steam account below, and a quick little blurb about why you would like to help us out. Re: Looking for balancing players! Did I understand correctly , you need to write my account name and describe the view of the addon? Yes, we need to know your account name so our balancers can have some matches against you to test your skills. And to ask you some questions . With EF I tend to focus on one map (alsace moselle ) as OST. Would like to help you guys out as feel EF is a rare example of why PC is superior to any other platform for gaming. Oke. I agree. This means I have to give my steam Account name and you will contact me on Steam. Right? Then whe pick a date and time to play online Matches. I did played COD easternfront alot against the AI ,but I have not played much against other human player. I did view lots of online matches on Youtube. I would like to help you and give feedback if needed. I'm hoping I can help you out in some way that isn't just modeling lol. Steam display name is currently -sb- Lev, The Commissar. Qualifications: I used to play automatch for a while but I stopped being competitive as I discovered modding. Play EF mostly against Normal - Expert AI and I'm not ashamed to say that I don't win every match lol. Odds are I'll lose to your testers but not without a fight. Modding experience is pretty nifty though when it comes to testing another mod. I wish to participate as a balancer in this game. I'm a very big fan of this mod. Also i have something to report. It takes 5 min to open the game with EF, and 10 sec to open coh:TV can you help me? Also keep working because this it seems to become much more famuos than COH2. Raptek1, burtondrummerNY, got invites by me. Larm... I could not find your profile. Please be more specific. maddogb, only one profile came up under the name, mdbuk. I sent that person an invite. Note: If you do not have the mod installed, install it before I speak with you. I have already failed one person for their lack of skill, if you do not have an intimate understand of Company of Heroes, please with all respect... do not waste my time. Floki: yes your right. Sorry. There are more larm's on steam I see now. I thought I was the only one. I suggest you people to provide your Steam's profile URL to ease the pain of searching, specially in case your name is a common one (like mine ), so there is no room for mistakes. I think this should help . "Deep understanding of the gameplay mechanics and skill is better than mere skill"
I have 20+ applicants, if you wanna stand out, be proactive. Message me after I add you. Larm, you got an invite from me. MG42: 1200 rounds of fun for the whole family! If I'm brutally honest, I'm probably a below-average skill player... But I blame that on only having the AI to 'practice' against, combined with an over-reliance of 'Choke-point/turtle' tactics. I'm at my best in 2-vs-2, so I have an ally who can be the hammer to my anvil. PS: Besides, this kind of 'balancing' stuff is something I need to get used to on the off chance that I can actually get my own project off the ground! Maybe to make it easier/faster process we should consider the option of using replays. So the candidates can give us a PvP replay where they play vs equally skilled opponent.